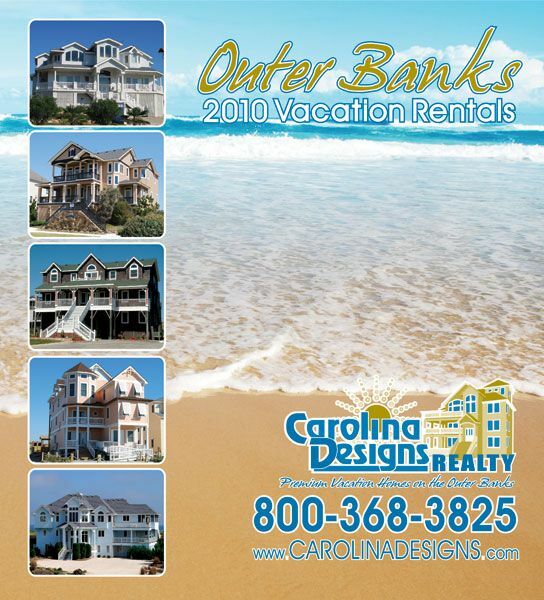 This is the 2010 Rental Catalog for Carolina Designs Realty. 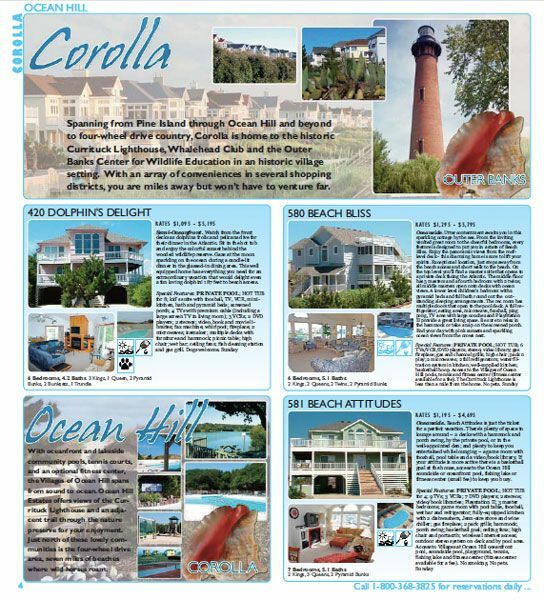 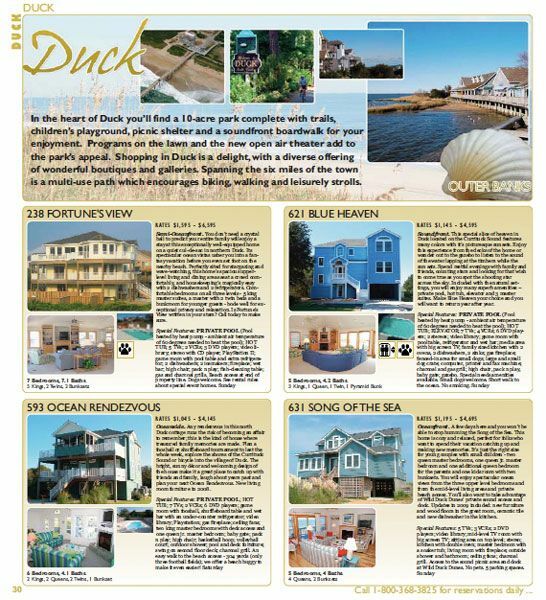 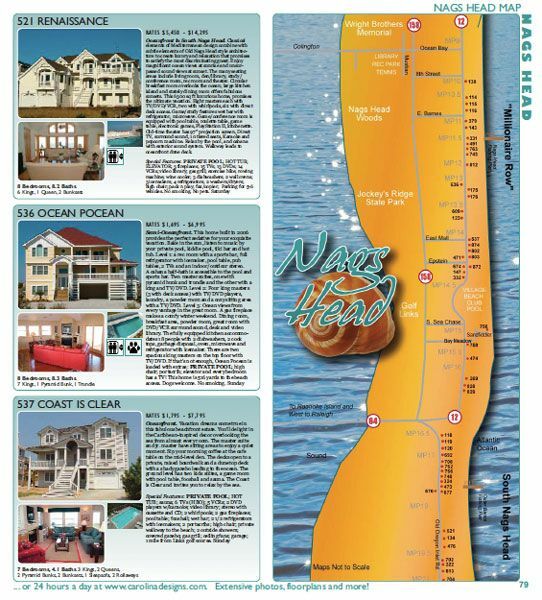 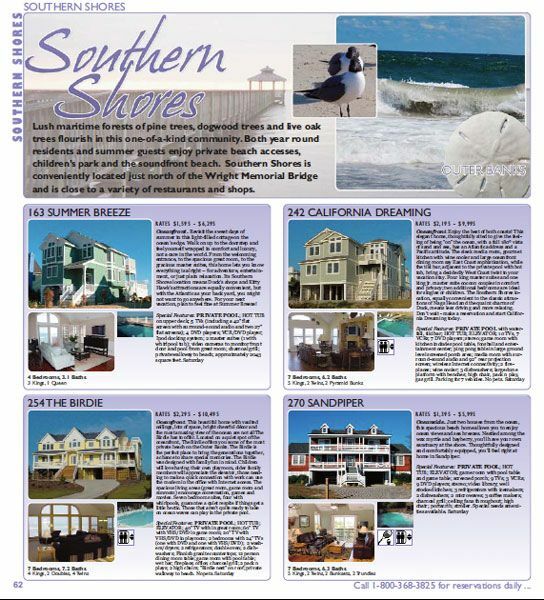 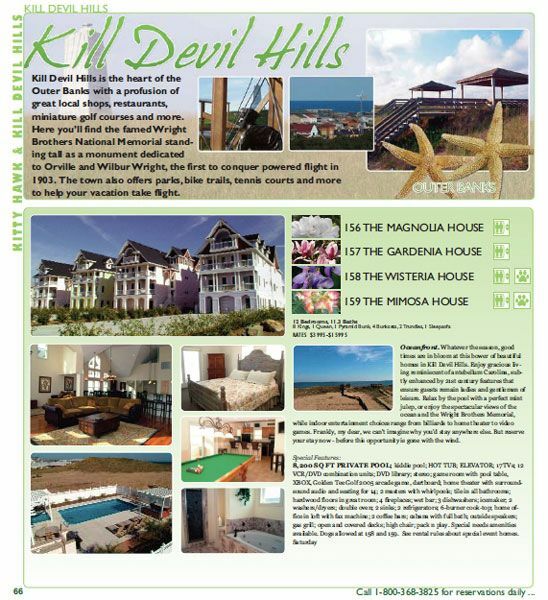 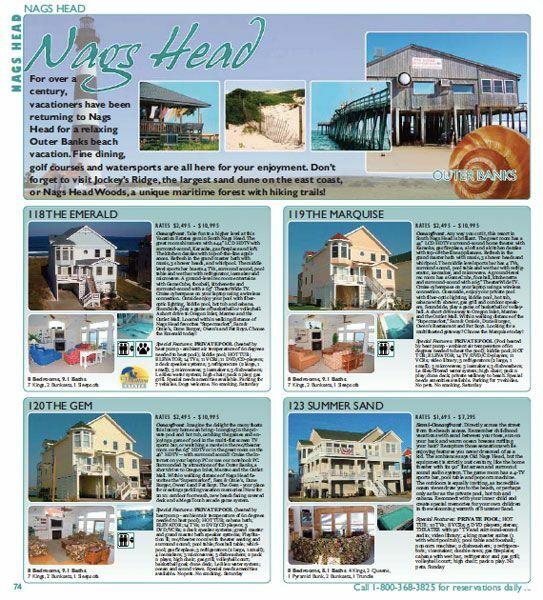 The cover was designed to highlight some of the newer, larger vacation homes they have to offer. 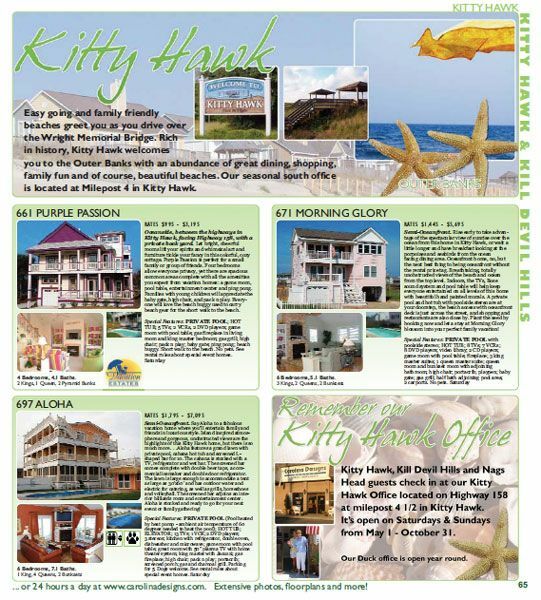 The theme throughout carries their branding style. 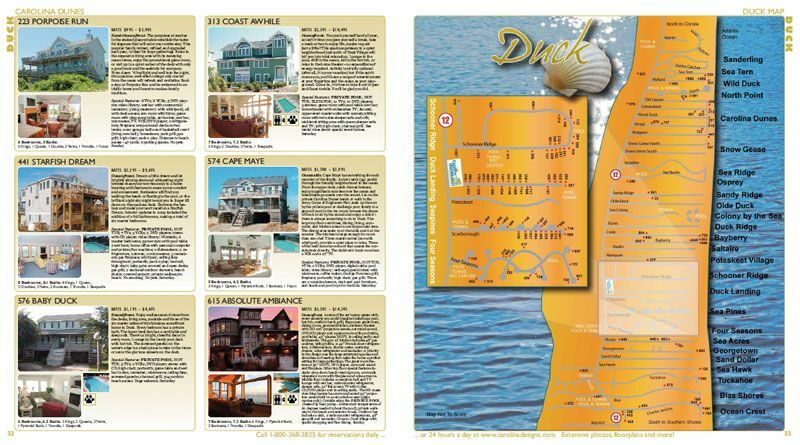 This catalog includes custom illustrated maps and other custom created elements to enhance the style of the piece. Overall we created 10 rental catalogs for Carolina Designs Realty. 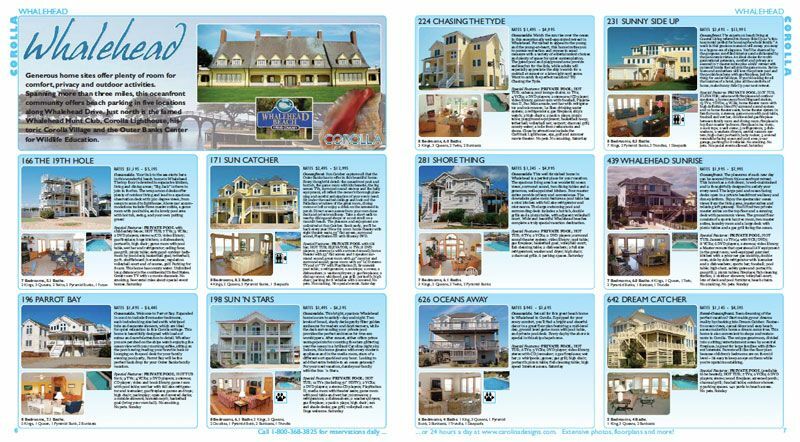 Each one with a unique theme carried through with the design and layout.